Premiere leather furniture brand Violino continues to offer modern style and superior comfort with the Classico sectional. 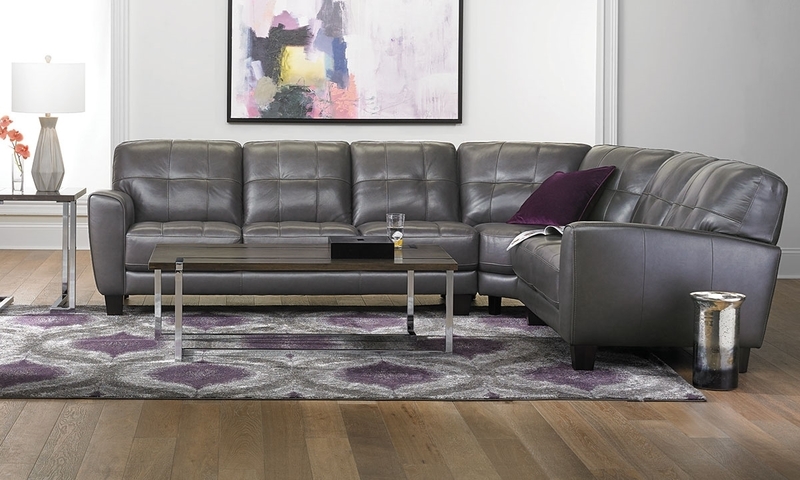 A fully padded hardwood frame lends lasting support to this contemporary piece, flaunting plush seating and flared arms tailored in premium top-grain leather. Its modern pewter color and biscuit stitched cushions will lend a trendy yet versatile touch to any living room.